In the Sandleford warren, Fiver, a young runt rabbit who is a seer, receives a frightening vision of his warren's immenient destruction. When he and his loving brother, Hazel, fail to convince their chief of the need to evacuate; they set out on their own with a small band of others who heeded the warning and barely manage to elude the Warren's military caste. What follows is a perilous journey in which the band faces dangers of all varieties like predators, humans and even their own kind. 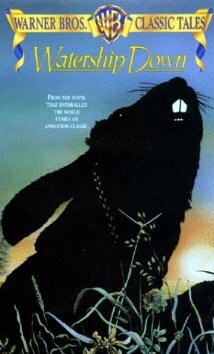 While they eventually find a peaceful new home at Watership Down, they have new problems that will lead to a deadly conflict with the neighboring Warren called Efrafa, which is a police state by the powerful and insane General Woundwart.